Centrally located in Hanoi, A25 Hotel - Doi Can is just 0.6 miles from the scenic West Lake. Free WiFi is available throughout the property. Services provided, at a charge, include airport transfers, laundry and dry cleaning. Luggage can be stored for free at the 24-hour front desk. One of our bestsellers in Hanoi! 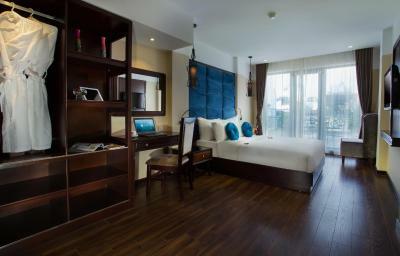 Set in Hanoi, Elegant Studio Hanoi features free WiFi, 450 yards from Ba Dinh Square. One of our top picks in Hanoi. A stroll from Hoan Kiem Lake, Tirant Hotel offers elegant rooms with free Wi-Fi and flat-screen TVs. Situated within the historic Old Quarter, it offers a seasonal outdoor swimming pool and a spa centre. Guests can enjoy meals at the on-site restaurant, followed by a drink at a bar. One of our top picks in Hanoi. 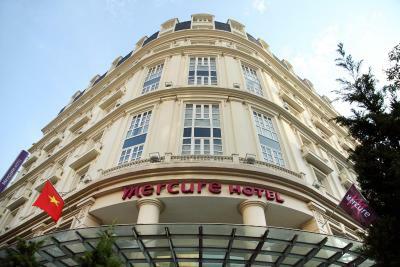 Located in the heart of Hanoi, Mercure Hanoi La Gare combines French colonial architecture with modern interior design. The hotel boasts an on-site restaurant and bar, fitness centre and sun terrace. Guests can enjoy free WiFi access in all areas and free private parking on site. This property offers luggage storage. 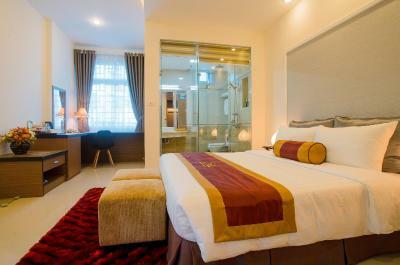 Situated 750 yards from Quan Thanh Temple, Smile Hotel offers rooms with air conditioning in Hanoi. 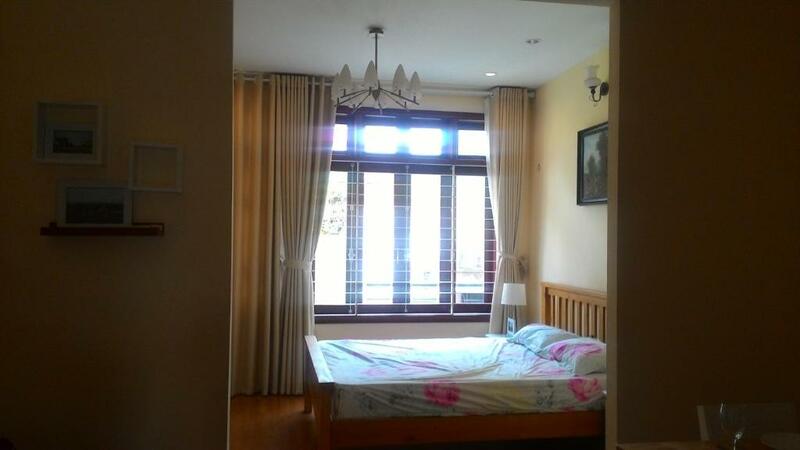 Around a 9-minute walk from Tran Quoc Pagoda, the property is also close to Dong Xuan Market. West Lake is 0.7 miles away. 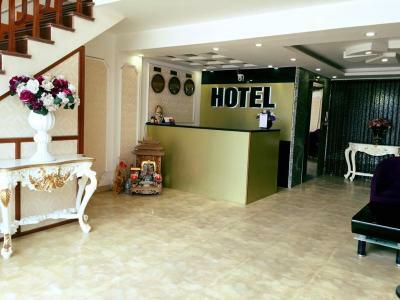 A25 Hotel – Giang Vo is located in the centre of Hanoi, just 0.9 miles from Ba Dinh Square and the One Pillar Pagoda. It provides elegant rooms with en suite bathrooms and free Wi-Fi. The hotel also offers an airport shuttle service and a tour desk. One of our top picks in Hanoi. Elegant Suites Westlake is a collection of spacious studios and apartments with self-catering facilities and free WiFi. Complimentary private parking is available. One of our bestsellers in Hanoi! Hanoi Traveller Hostel provides air-conditioned rooms with free WiFi and free daily coffee. Located in Hanoi’s Old Quarter, the hostel has a restaurant which serves breakfast. One of our bestsellers in Hanoi! Set in Hanoi, Mia House - Hanoi Center features free WiFi, 350 yards from Quan Su Temple and a 7-minute walk from Trang Tien Plaza. One of our top picks in Hanoi – and a guest favourite. A historic luxury landmark since 1901, Sofitel Legend Metropole offers pampering spa services, 24-hour room service and a heated swimming pool. It is located in central Hanoi, near the Old Quarter. 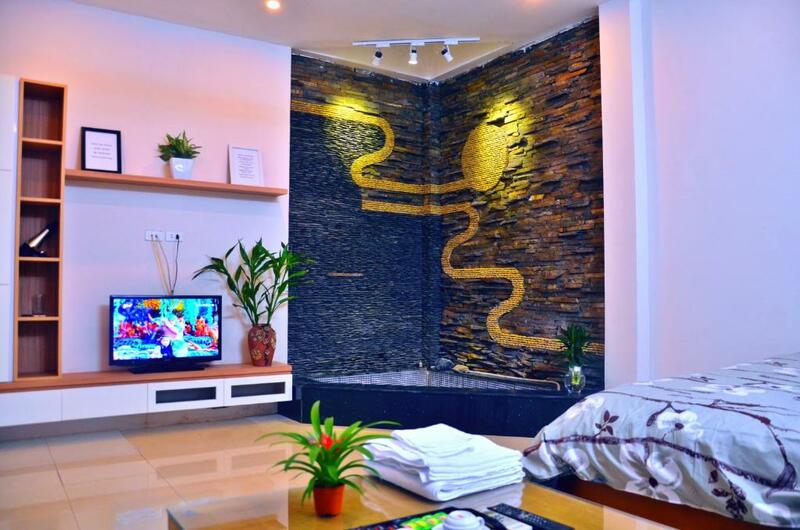 A25 Hote - Hai Yen - Cau Giay is situated in the heart of Hanoi. It features well-appointed guestrooms with free WiFi access and houses a 24-hour front desk. This property offers non-smoking rooms, room service and luggage storage. Offering free WiFi, Elly Hotel offers accommodation in Hanoi, 1 miles from My Dinh Stadium. 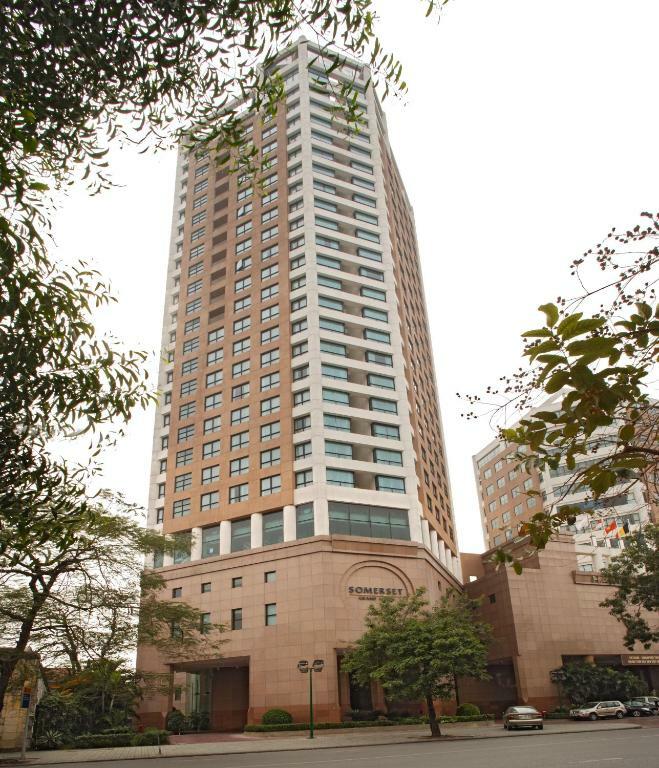 Built in 2013, the property is within 1.5 miles of Vincom Plaza Bac Tu Liem. Vietnam Museum of Ethnology is 1.7 miles from the property. One of our bestsellers in Hanoi! 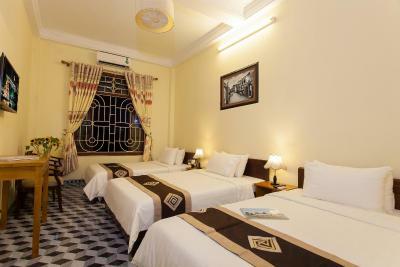 A 5-minute walk from Hoan Kiem Lake, Hanoi Traveller House has air-conditioned rooms with free WiFi. Located in Hanoi Old Quarter, the hotel serves a basic breakfast at its restaurant. One of our bestsellers in Hanoi! 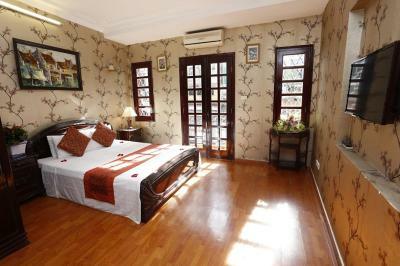 Featuring air-conditioned accommodation with a balcony, Micro Apartment is located in Hanoi. The West Lake is within 650 yards of the apartment, and free WiFi is provided. Set in the Hoan Kiem district in Hanoi, 550 yards from St. Joseph Cathedral, Soft Pillow Hostel boasts a rooftop terrace offering street views. Free WiFi ca be accessed throughout the property. In Hanoi's Old Quarter, A25 Hotel - Hang Non is only 650 yards from Hoan Kiem Lake, Ngoc Son Temple and The Huc Bridge. 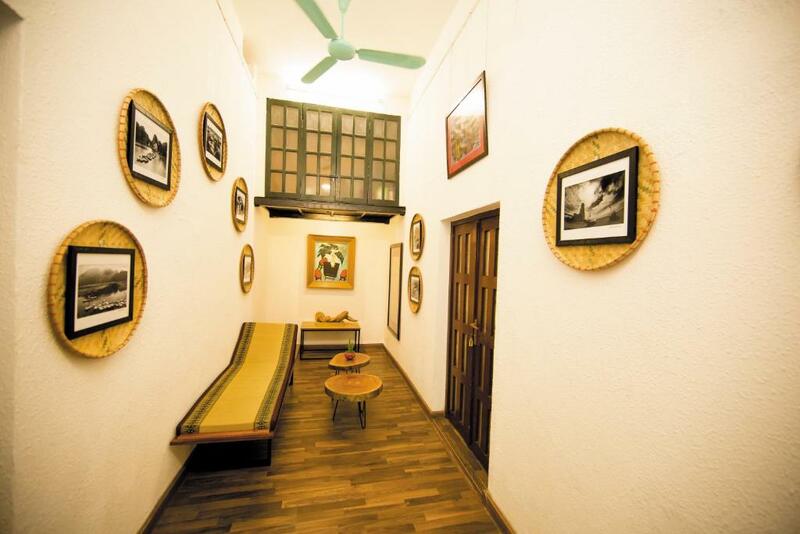 Its air-conditioned rooms all come with free Wi-Fi. The hotel's restaurant serves a daily breakfast. Centrally located just 0.6 miles from the popular Old Quarter, Emerald Hotel features an in-house restaurant and a 24-hour front desk. Modern rooms are fitted with a bathtub and free Wi-Fi access. One of our top picks in Hanoi. Centrally located in Hanoi, Midori Boutique Hotel offers peaceful and modern rooms with free local calls and free WiFi in rooms. One of our top picks in Hanoi. 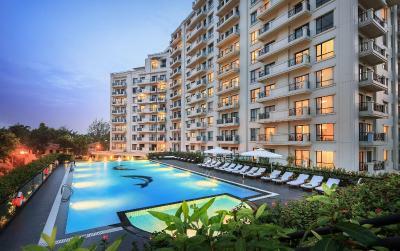 Standing tall in Hoan Kiem district of Hanoi capital, Somerset Grand Hanoi offers self-catering residences with access to its outdoor pool and fitness room. It also houses a restaurant and bar. Guests can enjoy free WiFi access in all areas.